Saturday was a special day. It was the day our daughter was born eight years ago. The day where we seem to make everyone else more uncomfortable than we are ourselves about our incredible loss. But we can't let the day go by without acknowledging an important family member. The family member that requires us to choose life. Choose adventure. Choose joy. This year would be her 8th birthday. As I have in the past, I think about what life would be like during that year. What activities she might be involved in? What toys would she like? What big events in her life would be happening? I thought about how this would be the year I would have had the joy of preparing her for her First Communion. All of the spiritual growth. All of the retreats and classes together. I would be lying if I didn’t admit that I would be so excited to buy a dress this year instead of pulling out the boys’ suit that they have all worn. I hunted for some patterns of a little girl in a dress. A little girl kneeling. I considered the symbols of the Eucharist. None of them seemed right for her quilt. I then had a flash of memory. The year she was born, our third son was celebrating his First Commmunion. 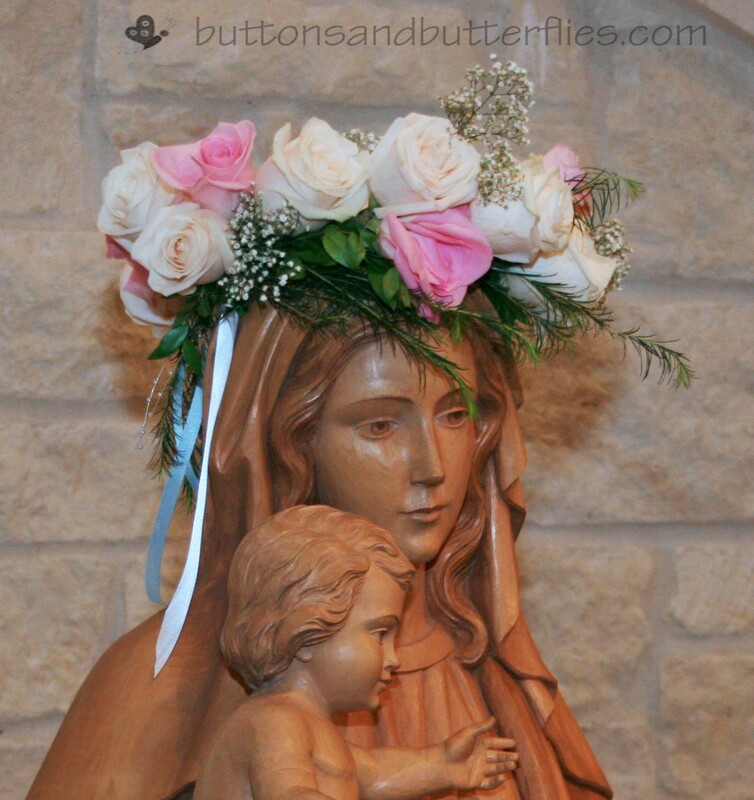 The second grade teachers asked me if I could make the floral crown for the May Crowning ceremony. I used pink roses and rosemary for remembrance. 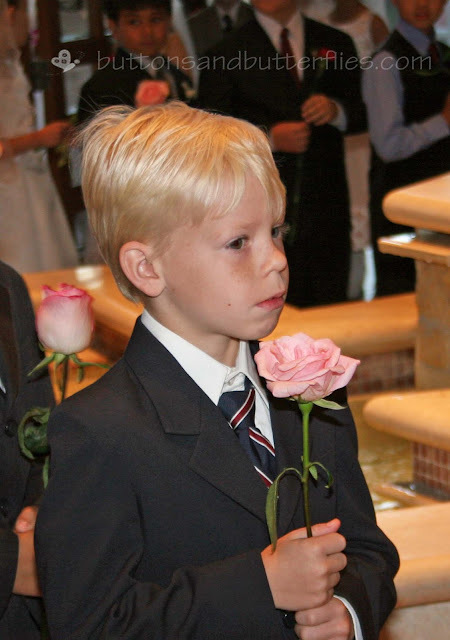 He also asked me if he could carry one of the pink roses. The significance of the roses has a deeper meaning. On the morning of our daughters memorial funeral, I had given my husband a task. I asked him to buy some flowers for the church. My favorite flowers are daisies, but I was insistent that he go buy flowers for her. Whatever he wanted to buy his little girl. 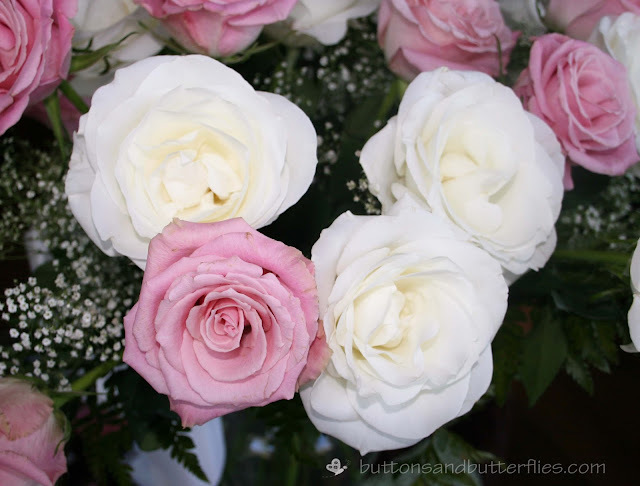 He returned with this beautiful delicate pink and white rose bouquet. I knew, without a doubt, that I had to do a rose quilt block this year. 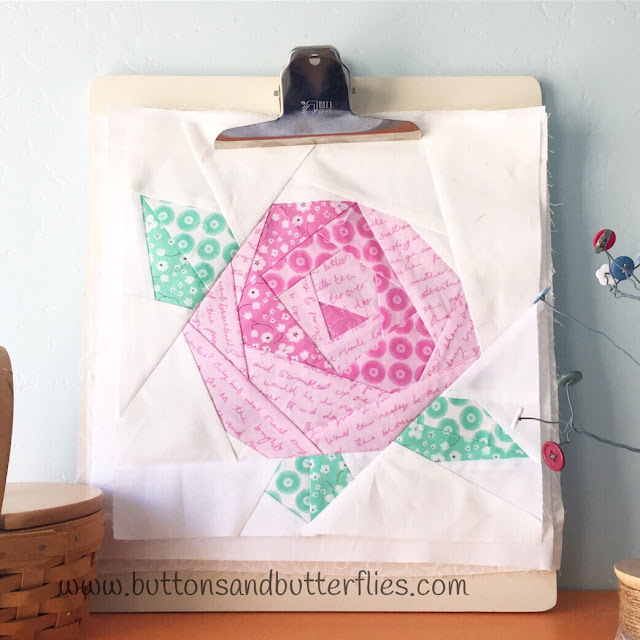 I found this really pretty paper pieced rose on Craftsy. I think the solids are gorgeous, but I’m still trying to use these out of print fabrics from the Posey line by Aneela Hoeey. Her birthday is sometimes ordinary or extraordinary. This year it was extraordinary. 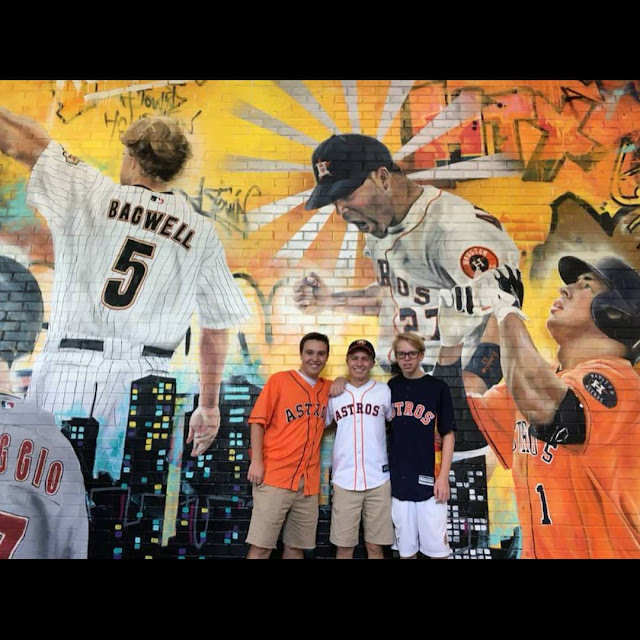 In the category of choosing adventure and joy, we decided to send the older boys on a last minute, once in a lifetime trip to Houston to cheer our Astros in the ALCS with my husband. We also bought a ticket for our oldest son to fly from college and meet them. Button and I opted to stay home. He hasn’t been feeling so hot this past week and we thought it best he stay home to recuperate. I found some quiet reflective time to work on Jamie’s Birthday quilt. 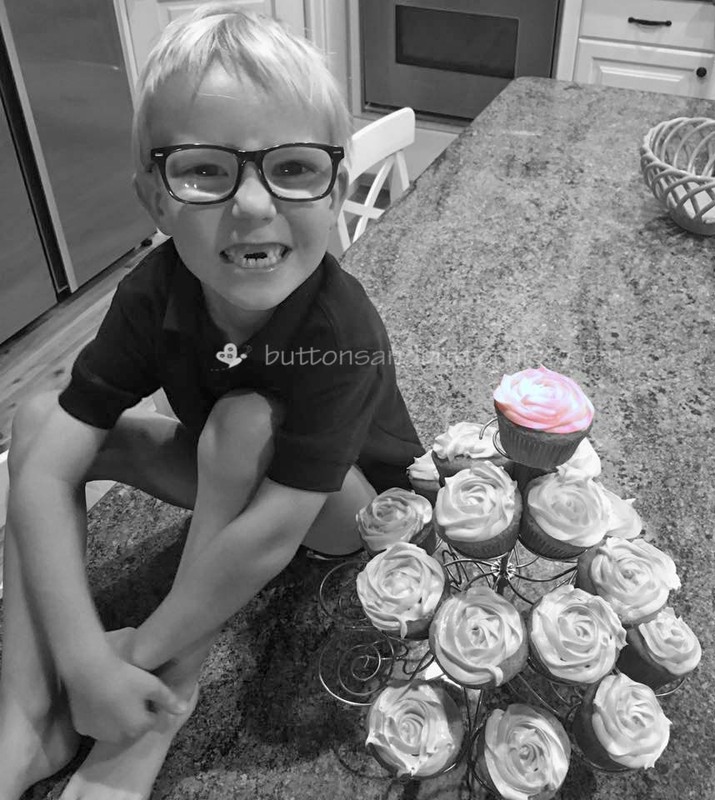 We rounded off the day by making and eating cupcakes, choosing joy. 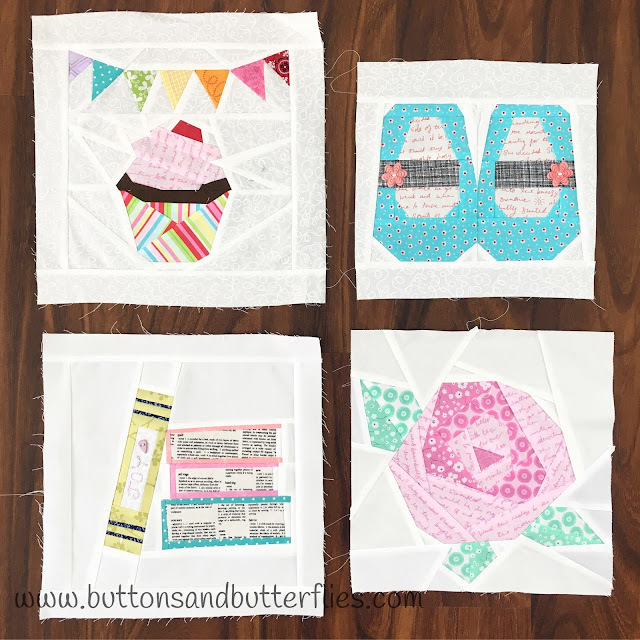 I am grateful that I came up with the idea of her birthday quilt. I love where it takes me. I love the path of inspiration I take. I love that I will have a quilt that is “hers” someday. 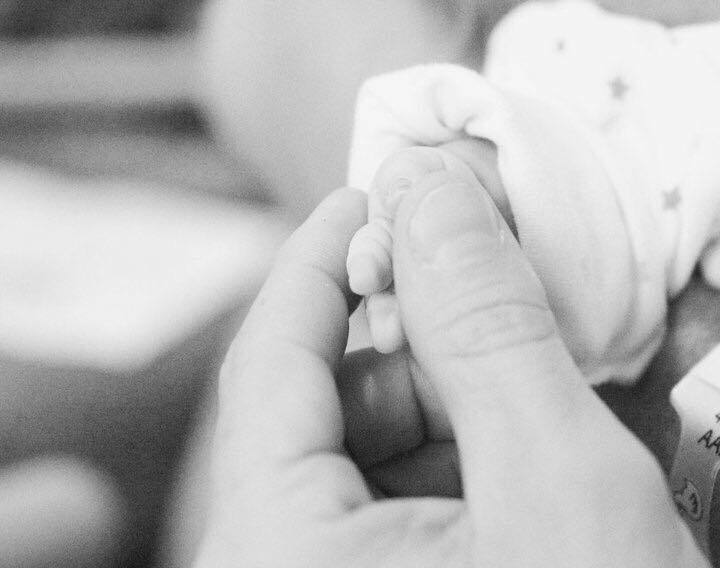 What a beautiful way to honour your daughter! The block you chose is perfect, especially with all the meaning behind it. This is the first time I have happened upon your blog. So sorry for your loss! But your quilt is a wonderful way to honor your baby girl's memory. God Bless! I don't know what to write except to say that your blog post touched me deeply. I know that your daughter is near to your heart and that you and your family honor her each time you hold each other close or choose to experience life each day. Thank you for sharing.